For the past 25 years, I have had the pleasure of serving on the Ohio State faculty, and I am very grateful for the opportunity to continue to serve the College of Arts and Sciences as your interim executive dean and vice provost after four years as divisional dean of Social and Behavioral Sciences. The College of Arts and Sciences, home to 38 departments, forms the academic core of The Ohio State University and offers an innovative liberal arts education to more than 16,000 undergraduate students. Through prestigious internationally recognized research, transformative pedagogies, and engaged scholarship, the College of Arts and Sciences sustains a remarkable intellectual diversity. With 15 departments ranking in the Top 25 nationally, the stories of how we are pushing the boundaries of disciplines and creating rigorous approaches to some of the most challenging problems of our society cannot be captured through numbers alone. The following snapshots give a fuller sense of the diverse intellectual excellence across the College of Arts and Sciences. Our college is an amazing community that equips the next generation of artists, scholars and scientists for career and professional success. The college also serves as a hub for the whole of Ohio State. We are charting the course for groundbreaking research, innovative teaching, and general education — as we prepare our students from colleges and majors across campus to find success in their fields. Looking toward the year ahead, we will leverage our diversity, tout our inclusiveness, and celebrate our excellence, because our faculty, staff, and students are generating knowledge that changes the world — with the support of alumni and friends around the globe. The College of Arts and Sciences is often called the academic heart of Ohio State. This isn’t just because of our size. It’s because this is where arts, humanities, and natural, mathematical, social and behavioral sciences can converge in unique and unexpected ways. When we combine different perspectives and expertise, we can better investigate critical problems through creative and scholarly inquiry, engage the public in reciprocal community collaborations, and deliver an exceptional education for Ohio State students. A doctoral student in the Department of Physics, Lefeld recently returned from a 15-month stay at the European Organization for Nuclear Research (CERN) in Switzerland, where he worked with the Large Hadron Collider — the massive particle accelerator that in 2012 helped discover a mysterious new particle called the Higgs boson. Lefeld's research group has been looking for further clues about the Higgs boson and how it interacts with other particles. A music education major, and Michele Meeker Scholarship in Music recipient, is set to graduate in December 2018. He received the Outstanding Achievement in Musicology Award from the School of Music last May, has twice conducted the Toledo Symphony, directs the Urban Strings Columbus youth orchestra, and gave a TEDx Talk. He plays violin, viola and piano, and he hopes to use his musical abilities to promote social change, educate youth and lift up underrepresented musicians. Through the Personalized Study Program, Anna Voelker designed her own major — science communication and accessibility — and was one of two Ohio State graduates to earn the President’s Prize. The award is given annually to recognize exceptional students committed to social change. Voelker will be using her award to implement AstroAccess, an outreach program dedicated to promoting and furthering science education inclusion for those with disabilities. While Ohio State’s campus is teeming with knowledge and education opportunities, it’s no secret there are endless avenues to learning outside of the traditional classroom. Our students study abroad and conduct field work on every continent, have access to internship experiences at any scale, contribute to leading-edge research and scholarship, and participate in service-learning that makes a difference in our communities. This past summer, Arts and Sciences students went around the world, conducting research, interning and volunteering. They were immersed in politics, knee-deep in research and data analysis, underwater studying coral reefs and everywhere in between. Associate professor of microbiology Jesse Kwiek and associate professor of history Thomas McDow co-teach HIV: From Microbiology to Macrohistory, which enters its fifth year this spring semester. 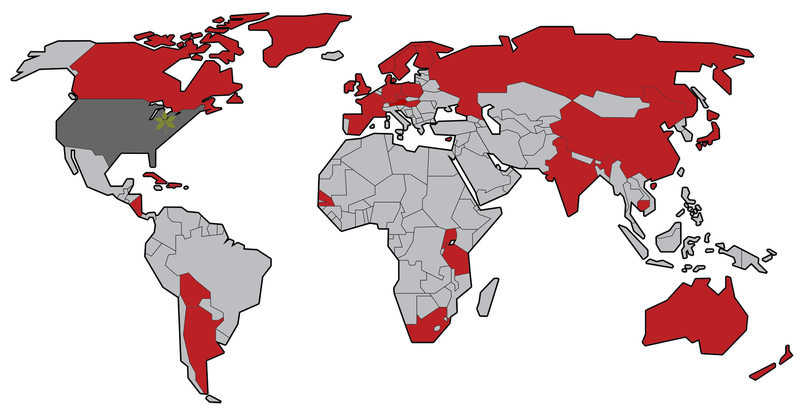 The course, which is cross-listed between history and microbiology, examines HIV through an interdisciplinary lens, studying its global, historical expansion, as well as its evolution at the molecular level. As the university launches its Digital Flagship initiative, faculty across campus are preparing to implement new “iPad required” courses into their curriculum. But back in 2013, Nicole Kraft, assistant professor (clinical) in the School of Communication, had already recognized the value of incorporating technology in her journalism classes. Citing the fact that the device has all the tools a reporter needs to develop a story on the scene, Kraft made iPads a critical tool in her classroom activities. Dehua Pei, Charles H. Kimberly Professor in the Department of Chemistry and Biochemistry, was named the university’s 2017 Innovator of the Year. Pei’s research largely focuses on protein-protein interactions, which play a role in a multitude of human diseases, but are extremely difficult to target with drugs. He has helped develop several breakthrough technologies that are poised to transform the drug discovery process. Barbara Andersen was named a Distinguished University Professor in Psychology in 2018 for her work in the biobehavioral aspects of cancer. This includes conducting basic research on stress and immunity and applied research including intervention trials to reduce cancer patients’ stress, enhance coping and improve their disease outcomes. Andersen is a member of the clinical psychology area in the Department of Psychology and of the Cancer Prevention and Control Program of Ohio State’s Comprehensive Cancer Center. The College of Arts and Sciences remains committed to excellence, which includes building a diverse community. When entering our classrooms and learning spaces, students expect a world-class educational experience inclusive of a broad range of ideas, backgrounds and experiences, and we must deliver. Universities are central places where people of all backgrounds, experiences and circumstances come together to learn and grow from deliberating, discussing and sharing ideas. We occupy a unique space in society by preparing students to learn and engage with one another to address and solve complex problems through shared knowledge. Our diversity is our strength. The College of Arts and Sciences remains steadfast to recruiting and retaining diverse, world-class scholars who enrich our classrooms and learning spaces, and the college will continue to pursue inclusive excellence, which simply makes us better. Our students, faculty and staff should understand that we are committed to our diversity and inclusion priorities, and we will continue to institute and uphold practices and programs that increase and enrich our academic community. The college, in partnership with advocates across the university, will lead in devising solutions that make us stronger as an inclusive institution. Wendy Smooth, associate professor in the Department of Women’s, Gender and Sexuality Studies, has been appointed to the new position of Associate Dean for Diversity, Equity and Inclusion. In this vital role, she will work closely with college leadership, administrative staff, and academic departments and schools to develop, promote, coordinate and advise on diversity and inclusion initiatives across the college. She will act as a thought partner and accountability advocate to ensure that diversity and inclusion objectives are articulated and implemented in our ongoing work and planning. Wendy Smooth’s research and teaching focus on women’s experiences in political institutions and on the impact of public policies on women’s lives. 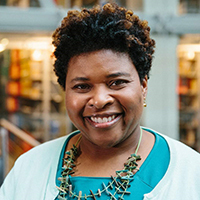 She leads Ohio State’s participation in the Collaborative to Advance Equity through Research, a national initiative created by the Obama administration’s White House Council on Women and Girls to close the gaps in research on women and girls of color. Each semester, Ohio State graduate students of outstanding scholarship are selected to receive a Presidential Fellowship — the most prestigious award given by the Graduate School. 15 of the 23 Presidential Fellows selected in spring 2018 are Arts and Sciences students, who were each granted one year of full-time financial support to complete their terminal-degree projects unimpeded by other duties. This year, eight of our students received Fulbright grants to conduct research outside of the United States. The program facilitates cultural exchange through direct interaction on an individual basis in the classroom, field, home and in routine tasks, allowing the grantee to gain an appreciation of others’ viewpoints and beliefs, the way they do things, and the way they think. The Ronald and Deborah Ratner Awards recognize faculty for making a difference in students' educations, lives and careers. Candidates are chosen for creative teaching and exemplary records of engaging, motivating and inspiring students. 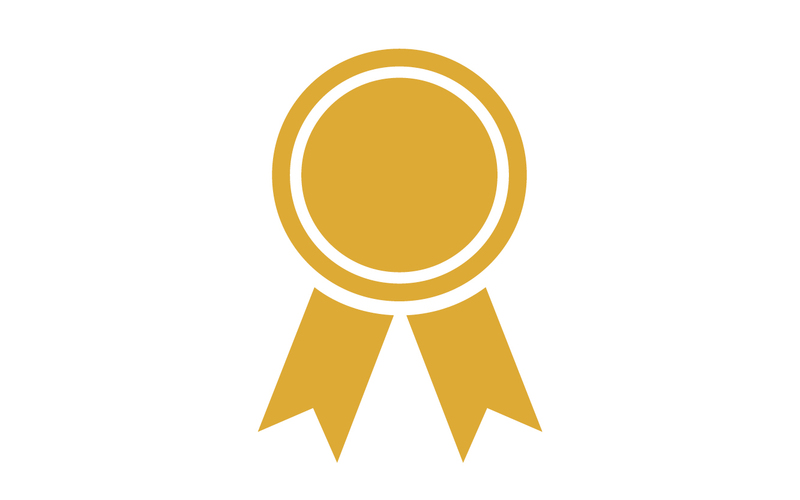 This year, five arts and humanities faculty members received these distinguished awards. The Arts and Sciences Distinguished Professorship honors a select few faculty members who have excelled in teaching, service and research and creative activity, and whose work has demonstrated significant impact on their fields, students, college and university, and/or the public. This year, five professors were appointed from a slate of impressive nominees. Every spring, the College of Arts and Sciences hosted its Spring Recognition Ceremony, honoring the recipients of all endowed college awards and college-wide awards for teaching and mentoring in the Arts and Sciences. Working toward a better future through partnership is all part of the plan of the Collaboration for Humane Technologies, a network of artists, scholars and researchers exploring the interplay between physical and virtual experience. A cross-disciplinary roster of some of the innovative thinkers in their respective fields, Humane Technologies draws from the Departments of Design, Dance and ACCAD (Advanced Computing Center for the Arts and Design), the Champion Intergenerational Center and are joined by students, alumni and contributing faculty from Music, Theatre, Engineering, Architecture, Spanish and Portuguese, English, Women’s, Gender and Sexuality Studies, Nursing, Medicine and Social Work. Together they create cutting-edge games, virtual reality experiences, interactive installations, animations, data visualizations, objects, performances and more. Setting their sights on projects as wide-ranging as robotics for assisted living; simulations to improve empathy in dementia care; games for wellbeing; stress reduction through mindfulness in virtual reality; and data humanism. The projects are powered by collaboration and innovation designed to help build a more livable future for us all. 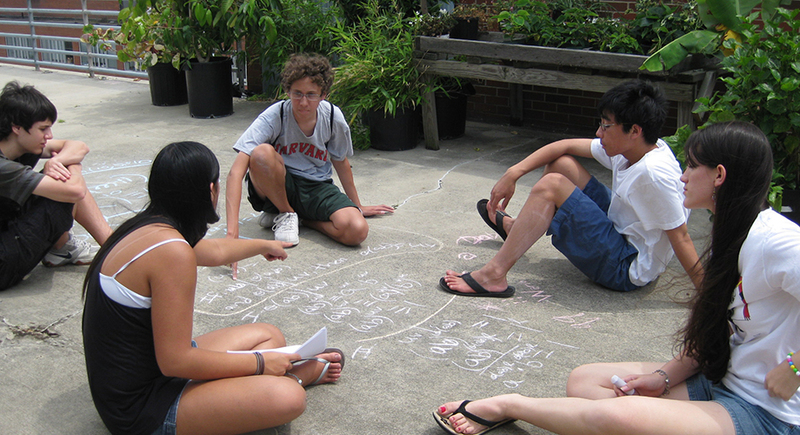 For more than 60 years, the Ross Mathematics Program — an intensive, six-week summer program focusing on mathematical thinking — has inspired high school students around the world and promoted the notion of pursing math and related fields of study. The program was founded by renowned mathematician and former chair of Ohio State’s Department of Mathematics, Arnold Ross. Held annually in Columbus, as well as in Asia since 2016, the Ross Mathematics Program demonstrates how to work with abstract concepts, teaches number theory and nurtures independent thought. Be the Street, a Humanities and the Arts Discovery Theme project, brings residents of one of Columbus’ most diverse neighborhoods together with faculty and students from theatre, dance, folklore studies and Spanish and Portuguese. 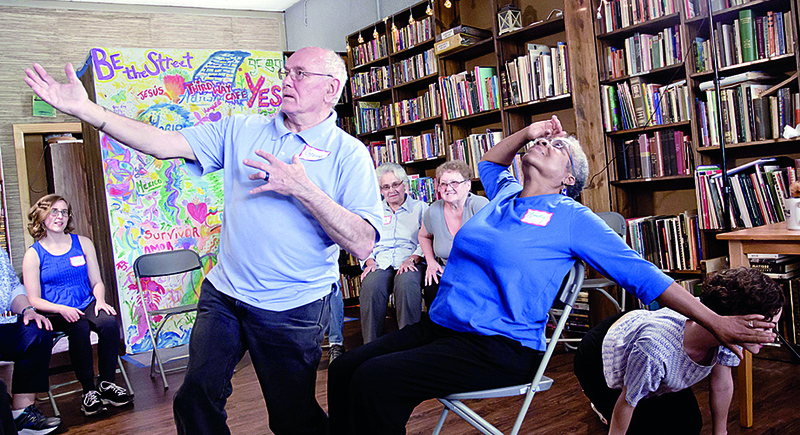 By collaborating with immigrant communities in the Hilltop area, the Be the Street team creates performances that tell stories of connectedness and belonging. Partnering with local nonprofits and organizations, Be the Street hosts workshops and after-school programs designed to engage with community members and highlight their life stories. The Ohio State Aphasia Initiative, in the Department of Speech and Hearing Science, is a free program for those in the community living with aphasia, a language disorder that hinders a person’s ability to process language and communicate verbally. 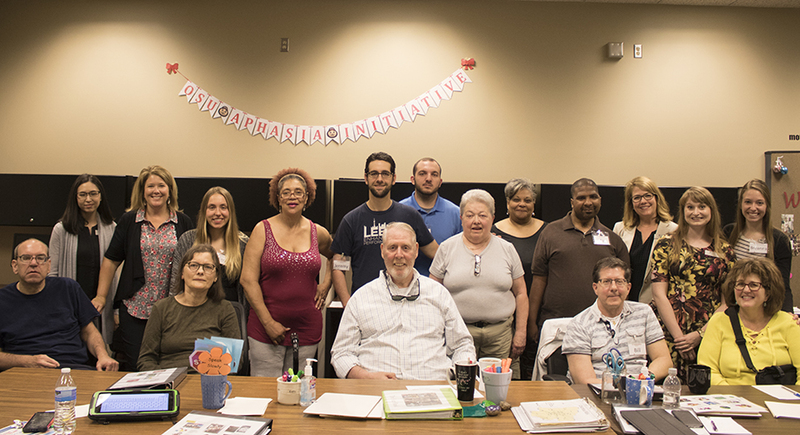 Through the Aphasia Initiative, those afflicted with aphasia have a space to come together and participate in structured group sessions that encourage and progress functional communication skills. Sessions are coordinated and guided by both undergraduate and graduate students pursuing degrees in speech and hearing science, and are supervised by a licensed, certified speech-language pathologist. In every area of the Arts and Sciences, our innovative faculty, students and collaborators worldwide are exploring existing and emerging global challenges. Their game-changing discoveries profoundly affect our lives and are funded by all major federal and state granting agencies, with additional support from business, industry and private foundations. The college champions creative scholarship and performance, and promotes an environment for students and faculty to inspire, discover and create on campus and beyond. Andrea Grottoli, professor in the Department of Earth Sciences and fellow of the American Association for the Advancement of Science, is conducting some of the world’s leading research on what drives coral reef resilience amid rising sea temperatures and ocean acidification. Dana Haynie, professor of sociology and director of the Criminal Justice Research Center, is fighting the opioid epidemic through her groundbreaking research on online criminal drug markets. Haynie and sociology PhD candidate Scott Duxbury are tracking and analyzing the social networks that sustain these markets, which have seen a significant growing demand for opioids. The team’s research suggests that new law enforcement strategies targeting vendor-buyer trust could be critical in curbing the growth of online drug trafficking. Market forces are pushing for smaller and smaller devices, but magnetic information storage tends to become less efficient as it decreases in size. To meet the intensifying need for a solution, a team of researchers based at Ohio State’s Center for Emergent Materials has received a grant from the Defense Advanced Research Projects Agency (DARPA). With the award, the team will develop novel magnetic materials for high-performance information storage by unlocking the power of skyrmions, which are nanoscale spin textures with great promise for smaller magnetic storage that is still stable and efficient. LabanLens is an augmented reality software that allows the Department of Dance to revolutionize the way faculty and students create and analyze dances in historical, contemporary, documentary and generative contexts. The dancer uses a drag-and-drop system to manipulate Labanotation symbols — a notation system for recording, describing and analyzing human movement — onto a vertical bar in an augmented reality realm. LabanLens’ benefits and applications range from research to creative, and the software will be available in limited capacities for use in the department this year. The Herodotos Project brings together faculty members from the Departments of Linguistics and Classics to develop an enthohistory of the ancient world. With the help of a National Endowment for the Humanities Digital Advancement Grant, researchers are creating a catalog of groups and individuals mentioned in ancient sources, focusing on the historical role played by those other than “great actors” (the important individuals, states or empires singled out in historic texts). More than 40 Ohio State faculty and staff members across all disciplines honed their singing skills to join the School of Music and the Advanced Computing Center for the Arts and Design (ACCAD) in a multimedia performance of “Carmina Burana,” the iconic cantata composed by Carl Orff in 1935-1936. The unique, first-of-its-kind collaboration incorporated an unforgettable digital-visual design that was projected onto the ceiling during the musical production. One of the largest black art collections in the United States and recognized by the Association of Black Cultural Centers as one of the top collections in the country, the Hale Black Cultural Center’s art collection features work by hundreds of artists in a wide variety of media, offering an unparalleled look at the black experience. The Henry Luce Foundation has awarded another grant to support the American Religious Sounds Project, a collaborative, multidisciplinary project housed in the Center for the Study of Religion that documents religious expression in the U.S. The project will create a digital archive of religious sounds and an interactive website that will allow people to listen to clips from the collection. The development of a new Arts District includes long-term plans to open Ohio State’s front door to the heart of the University District at 15th Avenue and High Street. The project, encompassing areas of campus between 15th and 18th Avenues, envisions high-quality, modern learning environments for interaction across arts disciplines. 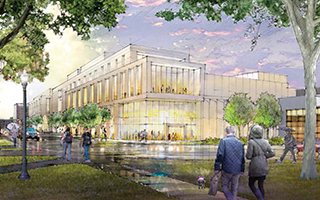 Included are new facilities for the School of Music and Department of Theatre, which will feature a home for the new Moving Image Production program. The Arts District is part of Framework 2.0, a plan for the physical environment of the Columbus campus guided and informed by Ohio State’s Time and Change strategic plan. 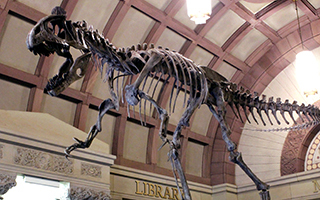 A 24-foot dinosaur skeleton, molded from a fossil discovered by Ohio State professor David Elliot, now stands guard in Orton Hall's lobby. The Cryolophosaurus provides valuable evolutionary insight to scientists and will increase enthusiasm and support for the museum exponentially, according to curators. 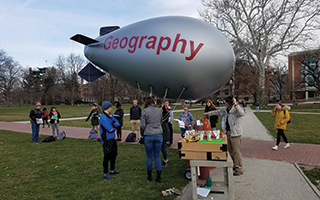 To bring Cryolophosaurus to campus, the team at Orton raised the necessary funds through a crowdfunding campaign that drew donors from all over the world. The installation will be part of a larger renovation that plans to incorporate technology into the museum’s other exciting exhibits. Located at the corner of 12th and Neil Ave. in the revived Mirror Lake District, Pomerene Hall has long been a storied and iconic feature of campus. Built in 1922, the hall originally served as a women’s student union, complete with a gymnasium and a swimming pool. In recent years the building saw little use for its size, but a major $60 million, state-funded renovation has revived Pomerene’s history and integrity, as well as provided a home for the Department of History of Art, the Undergraduate Data Analytics Major and Ohio State’s Translational Data Analytics Institute. The Gary and Connie Sharpe Innovation Commons is a space dedicated to exploration, innovation and collaboration within the Department of Geography. Located in Derby Hall, the Innovation Commons includes state-of-the-art technology for broadcast recording, breakout space for collaboration and integrated equipment to engage with colleagues across universities. The commons’ next phase of development will implement dedicated processors, 3D printers and a collaboration space to bring different areas of geography together. The Innovation Commons is made possible thanks to a generous donation from Gary (BA, geography, 1970) and Connie (BS, nursing, 1969) Sharpe. 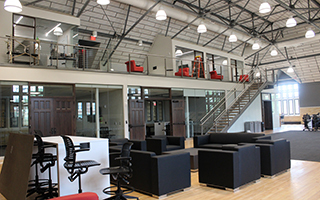 The Arts and Sciences Center for Career and Professional Success meets the evolving needs of students, ensuring they have every opportunity to gain career clarity and connections within an ever-changing employment landscape. Students are invited to join various Career Communities, each of which offers unique resources based around a particular industry. 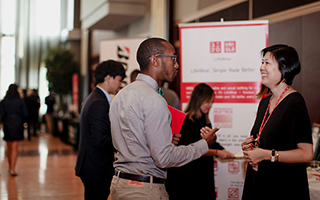 An expanded staff is dedicated to establishing industry partners, recruitment activity and micro-learning experiences, while a Match 50 Mentorship Program connects current students with Arts and Sciences alumni. 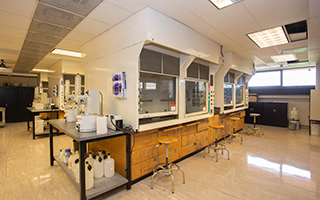 One of the Department of Chemistry and Biochemistry’s primary facilities, Celeste Laboratory, is set to undergo a proposed $30 million renovation. As a facility that provides instructional and research space for approximately 10,000 students per year, Celeste’s upgrade will have a significant impact on all students in science, technology, engineering and mathematics (STEM) fields. The labs provide hands-on experience to complement classroom instruction, creating more well-rounded students who will go on to be leaders in science, health and medicine and engineering.